DAVID LE/Staff photo. 2/15/15. 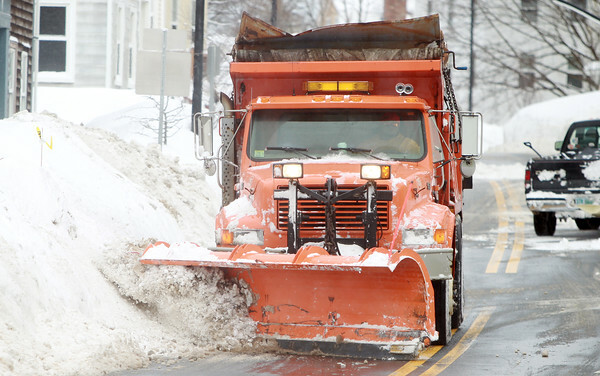 A plow tidies up the side of the road on Bridge Street in Salem on Sunday afternoon. Many of the main streets in Salem were down to pavement by the time it stopped snowing on Sunday.